There are 11 statues in Parliament Square. I counted them. And it’s fair to say they constitute a mixed bunch, ranging from a bulky and brutish Churchill at the front — who needed to be remodelled because he looked too much like Benito Mussolini — to a rather silly Nelson Mandela at the back, lurching into the square with his arms out, like an extra in a zombie movie. Location-wise, these are the most important statues in the land. With the Houses of Parliament in front of them, Westminster Abbey on one side, Big Ben looming above, they could not be sited in a more plangent spot. And it’s not just the location. High on the to-do list of the statues of Parliament Square is the enormous responsibility of having to sum up the spirit of the nation. They are there to bookmark crucial pages in our history: to evoke, commemorate, remember. It is as true of the indomitable Churchill at the front as it is of the newcomer who will be joining their ranks this week: Millicent Fawcett, suffragist, educationalist, the 12th statue in Parliament Square and the first woman. 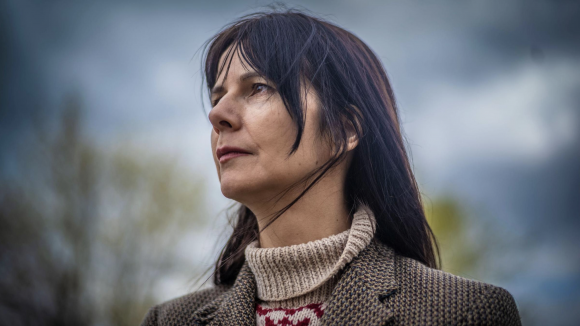 When I press her to namecheck the sculptures in the square that she admires, she manages only two: the bulky Churchill, for being so tangibly Churchillian; and the twig-thin Gandhi, a twig that changed history, who will stand next to her proud and emblematic Millicent Fawcett for all our foreseeable futures. And beyond. 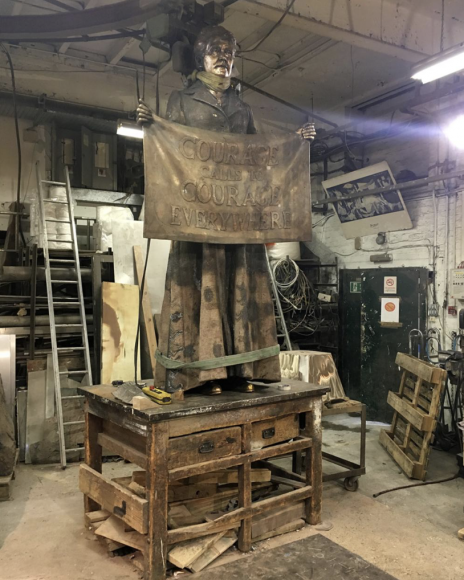 Before we meet, I fix up an appointment at the foundry in Mile End where the 8ft bronze of Fawcett is having her finishing touches done, prior to the big unveiling on Tuesday. Everyone in art knows the AB Fine Art Foundry. It is probably the most highly regarded bronze-casting foundry in the world. I’m shown round by Chloe, who works in the modelling studio and who explains the “lost-wax process” used to create Wearing’s statue in spectacular detail as we wind our way through a set of caked-up interiors that feel more like a cave system than a factory. With the lost-wax process, you start by making a model in wax. Then you coat the model in plaster. When the plaster dries, you melt the wax, leaving an empty mould. The mould is then filled with molten bronze. And when the bronze solidifies, you break it open. Simples. No wonder it has been the method of choice for producing long-lasting sculptures since circa 5,000BC. When we finally reach Millicent Fawcett, towering above us in the central cavern, two things surprise me. The first is her height. She’s only life-size- and-a-half, but that extra half makes all the difference: she is statue-sized, and we are not. The other impressive thing is her texture. Boy, has she got a lot of texture. Every knot of her dress, huge and enveloping, is recorded with an extreme sculptural exactitude that will be new to Parliament Square. It’s true also of the banner she holds, on which are loosely stitched the rousing words “Courage calls to courage everywhere”. They are taken from a speech made by Fawcett to commemorate the death of Emily Davison, who threw herself under a horse at the Epsom Derby in 1913. Every thread of the banner, every stitch, is carefully evident. Never before have such humble domestic textures spoken so loudly in Parliament Square. In her studio, Wearing sets about disabusing me of the fantasy that the lost-wax process is simple. Not with the version she employed, it isn’t. She wanted her sculpture to feel resolutely contemporary and to use the latest technology. So the model was created at Pinewood Studios on the most advanced 3D scanning system in the country, developed for Hollywood movies. The first step was to find someone of a similar build to Fawcett. Then the celebrated costume designer Clancy Steer was commissioned to recreate a “walking dress” for her. Fawcett disliked public transport. She was notorious for walking to meetings, no matter how great the distance. So the tough and practical woollen dress she sports is intended, says Wearing, as a symbol of her feminine fortitude and energy. Another of her ambitions was to include something real in the sculpture: something that actually belonged to Fawcett. She settled on a small brooch she found in a box of possessions. It was the hardest bit to make. At the foundry, where the 3D model was sent for its super-progressive lost-wax casting, they tell me they had to make a separate mould for the brooch, to preserve its detail. As for the fingers holding up the banner — those are Wearing’s own. Long after she’s gone, her hands will still be there in Parliament Square. It all began with a campaign by Caroline Criado Perez, the noisy activist who got Jane Austen onto our tenners, and who started a petition for a sculpture in Parliament Square to mark the centenary of women winning the right to vote. It got 85,000 signatures. Everything hotted up last April when Wearing was chosen for the task. No, she doesn’t know who else was approached. There were no interviews. She was asked to send in a proposal. The next thing she knew, the gig was hers. The hope was to have the statue finished for the centenary of the Representation of the People Act in February. But, as politicians seem never to learn, a year in art is a very short time, and there was no way to achieve that. So April 24 it is. Fawcett had already been selected as the subject. Wearing quickly decided she would be holding up a banner, and that a frieze would run around the plinth with the faces of 59 other activists who fought for the right to vote. While the positioning of the banner was the most tricky technical aspect back at the start, all manner of conceptual issues also needed to be resolved. Fawcett was a suffragist, not a suffragette. She believed in non-violent opposition. So Wearing’s original plan was to have her surrounded on the plinth by fellow suffragists. But if she did that, she fretted, everyone would forever be asking where Emmeline Pankhurst was. So, on a trip to Copenhagen, where she had gone to mount another of her statues, she epiphanically decided to combine the two flanks of the suffrage cause in a single row of faces. Trickier still was the question of age. Statues are fated to be frozen for ever in the look you give them. So the age you choose is crucial. To look authentically Churchillian, Churchill had to be old, not young. 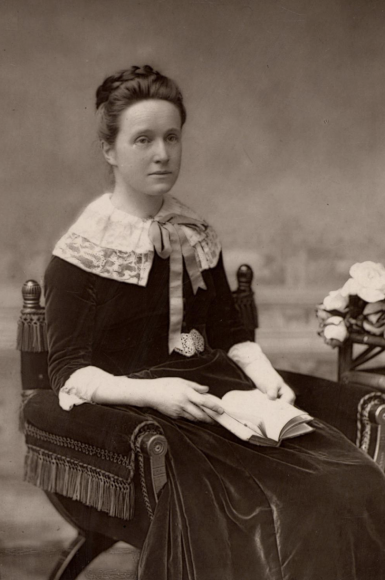 But what age should Millicent Fawcett be? It was Criado Perez who solved that. “She said all the other statues in the square were of middle-aged men —that’s the age when they achieved something.” So Wearing’s Millicent Fawcett is for ever 60. It’s the perfect age at which to start life as the overdue woman in Parliament Square.